Great gift idea. 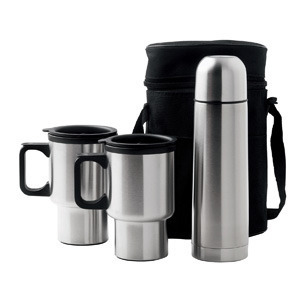 Packed inside this heavy duty, 600D carry case is the D786 500ml stainless steel travelmate vacuum flask, 2 x stainless steel 380ml car mugs with lids. Supplied in white box.